I’m ending my Bob Dylan tribute with one of his most well known songs. It was originally recorded in 1964, a month before President Kennedy was assassinated. The very next day, Dylan began his concert with this song. 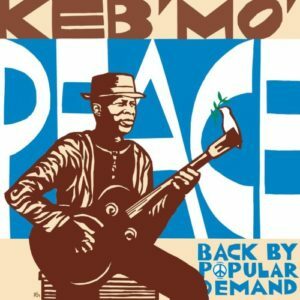 It is an intentionally anthemic song which was written in response to the political and social tumult of the early 1960’s. It is a song that people come back to in uncertain times. “Girl of the North Country” was a track on the 1963 album The Freewheelin’ Bob Dylan. That’s the one with the iconic cover of Dylan in his suede jacket, a young Suze Rotolo on his arm. This has always been my favorite Dylan album. I’m not sure who I wanted to be more as a 14 year old… Dylan or the smart and beautiful Rotolo. 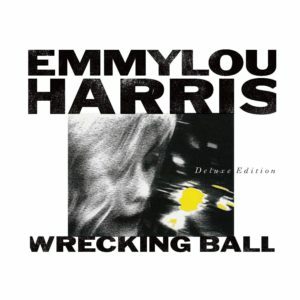 Wrecking Ball is a sublime album by Emmylou Harris. I was extremely surprised to find that Brian Blade played drums on a song on this album. 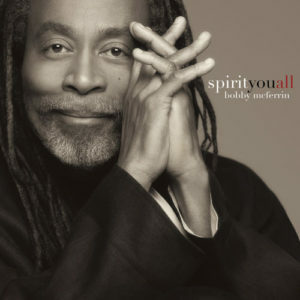 It was simply amazing to realize that side of his playing (which included playing for Joni Mitchell and even his own projects as a singer-songwriter.) Getting back on track, this is another song that I remember loving from the lyric alone when I would flip through my Bob Dylan lyric book that I’ve kept in my guitar case since being 14. Was it possible for a white girl between the ages of 13 and 30 to make it through 2007 without learning the song “Falling Slowly” by heart? Obviously the answer is that everyone in the world must have known that song because I hadn’t seen the movie Once (much less ever heard of Glen Hansard & Marketa Irglova) and I was OBSESSED with that song as a 13 year old. I can’t even remember how I first heard it. 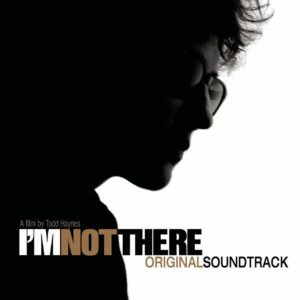 The Irish duo took 2007 by storm with Once and also had a song on the soundtrack for the movie I’m Not There. I distinctly remember longing to see that movie because I was in love with Bob Dylan but my parents wouldn’t let me see an ‘R’ rated movie. I wish I would have just been a little rebellious and found a way to see it, but I guess I wasn’t quite that brave. I settled for the soundtrack. I wasn’t too familiar with Dierks Bentley before coming to Nashville. To be honest, I wasn’t too familiar with many mainstream country music artists at all before moving to this city. But I was delighted to find that Dierks has embraced bluegrass music along with country music, often integrating at least one bluegrass song into his albums. 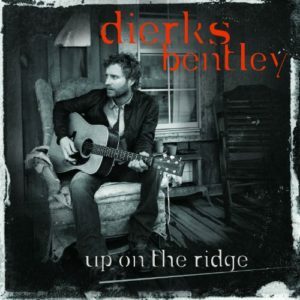 Up On the Ridge is a bluegrass album that Dierks Bentley recorded in 2010. Perhaps it could be argued that some of the songs stand more at a crossroads between mainstream country and bluegrass music, but it’s all great. This is a wonderful imagining of Bob Dylan’s “Señor (Tales of Yankee Power)” which Dierks teamed up with the powerhouse bluegrass band the Punch Brothers to record. I was having a discussion about Bob Dylan with my boss this morning because we were playing his music in the shop in celebration of his 75th birthday. He was moaning to me about the fact that all Bob Dylan songs are the same song. He feels like Dylan is lyrically what Jackson Pollock is to the art world. He thought this was a bad thing. Personally, I think he’s right about Dylan’s lyricism being analogous to Pollock at times; however, I think that’s a beautiful thing. Dylan’s lyricism is like an emotional splatter. 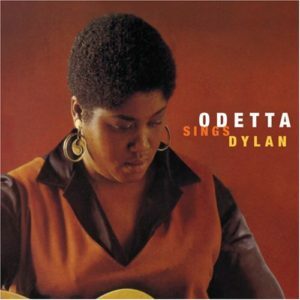 I would like to spend the next week exploring my favorite covers of Bob Dylan’s songs. I was a freshman in high school and that year my family spent Christmas in Alaska visiting my grandparents and aunt and uncle on my mom’s side who were living up there at the time. It was always strange going to Alaska to visit family. None of them were native to Alaska, they had just sorta migrated up there after my grandparents moved up there. So we visited a few times. It was a great excuse to go to Alaska, for sure, but it was weird to just be doing normal family things in a place where I felt like we should be tourists. Anyway, one of the normal things that we did there was go to a thrift shop in Anchorage. 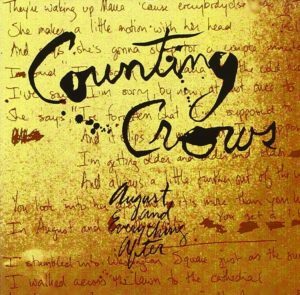 I would always look at the CDs at thrift shops and on that day I found Counting Crows’ August and Everything After. So many of these songs became the soundtrack to my brooding. I would stay up late in my room and listen to songs that heightened my angsty, passive-aggresive emotions. 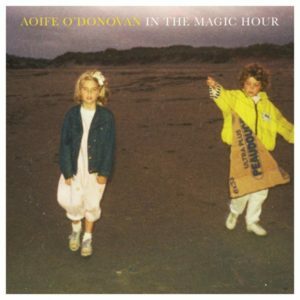 My first time hearing Aoife O’Donovan sing was back in 2011 on The Goat Rodeo Sessions. 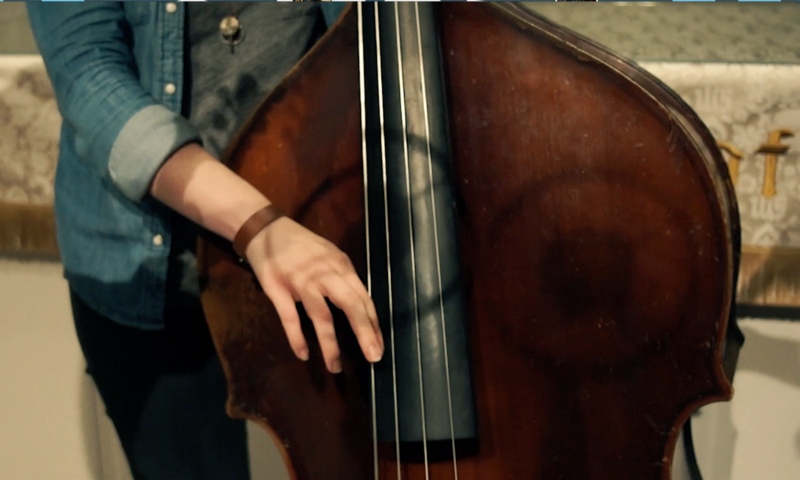 I was re-introduced to her music within the last couple years when a friend recommended to me her band Crooked Still. I absolutely fell in love with her voice. It is soft but powerful in her delivery of lyric. 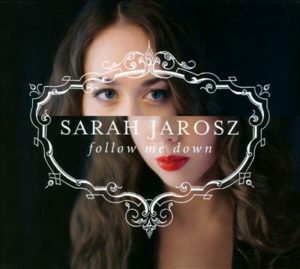 Her second solo album, In the Magic Hour, was released on January 22nd of this year. The day is important to me. On this day, Nashville had a snow storm and classes and work were cancelled. I woke up at about 4am that morning and I felt like I was a child back in Missouri waiting for the good news about a snow day. 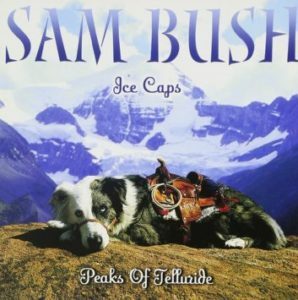 I was so surprised to see that this album had been released and listened to the whole thing. This was the first song I listened to and it will forever transport me to that magic morning when mine were the first footsteps across the perfect, untouched snow.